On May 20, 1930, Margaret Blehar was born to Pennsylvania natives Michael and Mary Solo Blehar. Mary was a very quiet person and Michael a hard-working coal miner. Soon after they were married, Mary’s brother Steve married Michael’s sister Katherine. On payday, all of the men were at the beer tap but Michael was a good provider for his family. He had lost two brothers, Andy and Joe, in an accident in the mines. Both of them were young and Andy left behind his young wife and two sons, one and a half-year-old Bud and six-month-old Bill. Mary and Steve’s brothers, Andrew and Paul, were killed in a car accident while in their early twenties when Mary was pregnant with Margaret. Their small town of Coral, Pennsylvania featured only a tavern, a store, and one church. Margaret, along with her brother Raymond and her sister Monica, didn’t know anything else. They had clothes and food and were content to walk to school. 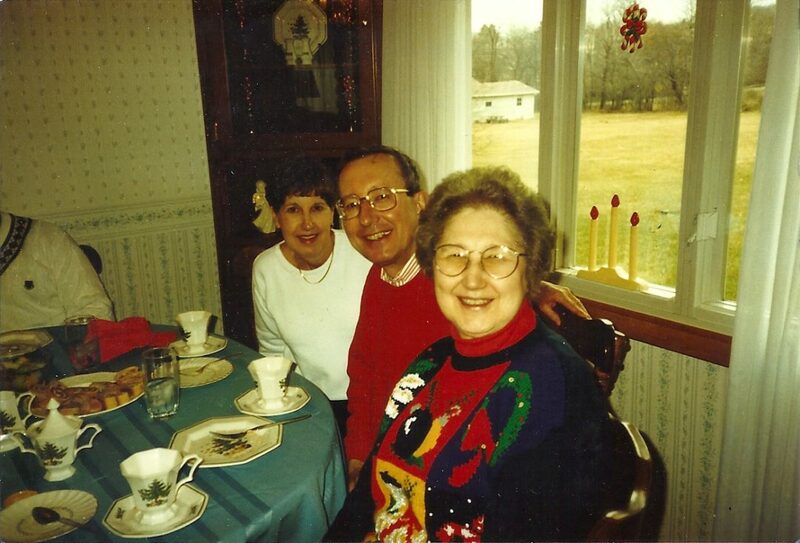 Margaret, Ray, and Monica were a very tight-knit family. Despite never knowing her mother’s brothers killed in the car accident personally, Margaret knew them from her mother’s stories and the large picture of the two that Mary kept at home. Margaret got to know all of her grandparents, Ann and John Solo and Andrew and Ellen Blehar. She often stayed with her maternal grandparents, Ann and John, while on vacation from school. All three Blehar children attended the local public school for all twelve years of their elementary and secondary education. Margaret remembers taking the name Marie in honor of her mother when she made her Confirmation. She also vividly remembers the bombing of Pearl Harbor taking place while she was in grade school. Nearly four years later, the town rejoiced at the end of World War II. People were celebrating in the streets and the church bell rang nearly the entire night. After graduating high school, Margaret got a job working as a receptionist for a dentist. It was a decent job but she much preferred her second job, working as a stenographer. It paid well and she enjoyed the work. Because of this job, Margaret was able to help her family with expenses. She was also able to pay her family’s bills when the miners went on strike. After working for a few years as a lay person, Margaret’s pastor, Father Joseph J. Hmelyar, talked to her about entering the religious life. 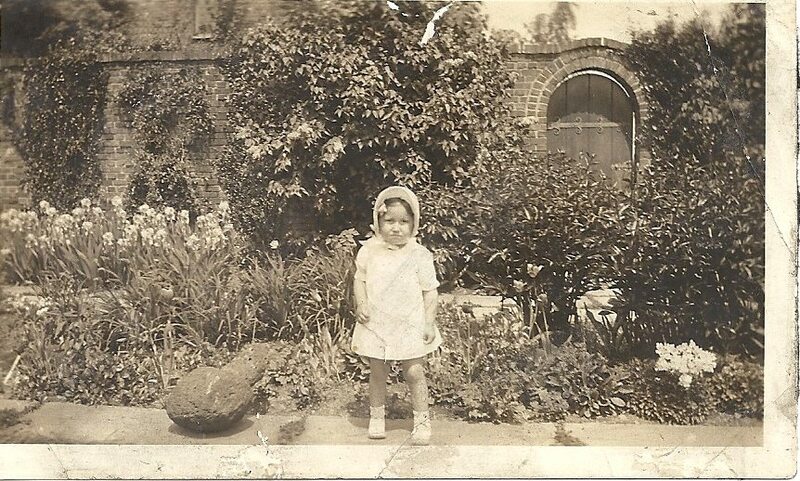 Her parents did not want her to go to the convent but they never tried to hold her back. Once she made the decision to enter the community, they did their utmost to support her. Father Hmelyar escorted Margaret and three other girls from the same parish to the Vincentian Sisters of Charity in Pittsburgh. All four girls, Margaret, Denise, Sharon, and Jane (Sister Michaelette Pavlik), entered the community on September 8, 1954. Several weeks later, Michaelette’s twin sister, Jeanne, joined them. When she entered the Novitiate on August 15, 1955, Margaret was given the name Therese Martin. Novice Mistress Sister Ildephonse Manik (later Mother) had recently attended a convention in Dallas, Pennsylvania where a novice of that name waited on her table. She liked the name so much that she decided to pass it on to a Vincentian novice. The novitiate involved much hard work but by this time novices no longer had to get up early to milk the cows. For that, Sister Therese Martin was very grateful. She remembers wonderful celebrations during her time in the novitiate. For Corpus Christi, three altars were erected outdoors. The community processed out to them with Father carrying the monstrance with prayers and a hymn being sung at each altar. For the Feast of the Immaculate Conception, the novices woke up before all of the other Sisters. They walked through the hallways singing in Slovak to wake the rest of the community. On St. Nicholas Day, one of the Sisters dressed up as the honored Saint and said something humorous about each Sister. Sister Therese Martin particularly enjoyed the summers when many of the Sisters returned to the Motherhouse from their scattered missions. The entire chapel was filled and all said the Divine Office together. That inspired such a good feeling, a feeling of belonging. Sister laments the loss of that annual experience. Therese Martin’s novitiate class numbered twelve girls. At age twenty-four, she was the oldest of the twelve; the other girls were all high school seniors. One Sister in the novitiate, Sister Barbara Makar (then Sister Florian), was close to her in age; however, Sister Barbara was already a senior novice. She remembers Sister Barbara as her “angel”; she kept a watchful eye on the first year novices, including Therese Martin, and made sure that they were doing as they should. When anyone did slip up, Sister Barbara was quick to remind them of the rules. While she was in the novitiate, the mine where Sister’s father worked shut down. This made things very difficult for the family. Therese Martin’s mother kept the news of the closed mine from her for a time so that she would not feel as if she was responsible for the family and leave the novitiate. When she learned of the mine’s closing, Therese Martin considered leaving the community so that she could get a job and help her family pay the bills again. In the end, Sister remained in the community and completed her time as a novice. She made first vows on August 15, 1957. Therese Martin’s first mission was teaching elementary school at St. Sebastian in Pittsburgh, just a few miles from the Motherhouse. She had almost forty students and found the switch from novitiate to teaching very challenging. After a difficult first day and feeling quite stressed, she met Sister Ildephonse (soon to be Mother Ildephonse) in the laundry. Sister Ildephonse asked her a question and Therese Martin hurriedly gave her a response before rushing off to attend to another task. Years later she learned that Mother Ildephonse thought her hurried response was a smart remark and she took considerable offense. Therese Martin then explained the situation to her and apologized for the misunderstanding. Over time, teaching became easier. Some classes were not as difficult as others. After teaching at St. Sebastian for a year, Sister was changed to St. Michael in Munhall, Pennsylvania and went to St. Ursula in Allison Park a year after that. In both missions, she taught elementary students. 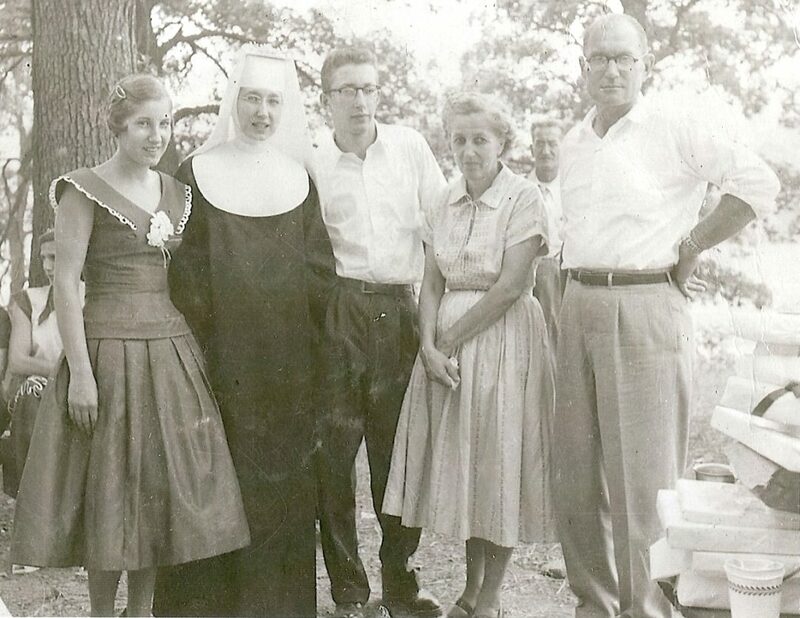 On August 15, 1960, Therese Martin made her perpetual vows right before beginning a new teaching assignment at St. Michael in Braddock for one year (1960-1961). This mission was particularly challenging because Sister had a difficult relationship with the local superior. When Sister Therese Martin returned to teach at St. Michael a year later, she got along very well with the new superior, Sister Gerard Hurka. The year in between these two missions at St. Michael in Braddock she spent teaching at St. Bartholomew in Crabtree, PA.
During this second mission at St. Michael, President John F. Kennedy was assassinated. Sister was teaching sixth grade at the time. The principal went to each class and told them the news. Then, as one, the entire student body and their Sister teachers went to the church to pray the rosary. When she left St. Michael for the second time in 1964, Sister was missioned to St. Robert Bellarmine in East McKeesport. This was another difficult mission because the local superior was very strict and exacting. Therese Martin remembers how she dreaded to return after the Christmas holiday. The mission only lasted a year before she was transferred back to St. Michael in Braddock. From there she went to St. Mary in Uniontown followed by Holy Name in Monessen and Holy Trinity in Duquesne, teaching elementary grades at each school. After Vatican II the Vincentian Sisters of Charity gradually transitioned away from wearing the full habit that Sister Therese Martin received when she entered the community. Eventually, the majority of the Sisters simply wore secular clothes. Sister remembers moving away from wearing the habit as one of her greatest challenges in religious life though today she can’t say why. Sister was at Holy Trinity from August 1970 until June 1973. While there, she continued teaching elementary school with the added the responsibility of being one of three building principals under Administrator Sister Mary Angela Sotak. In this role, she was responsible for the teachers and classes in her building. In her final year at Holy Trinity, Sister Therese Martin also served as coordinator of the Sisters. From August 1973 to June 1978, Sister became the principal of Monessen Catholic (Monessen, PA), a consolidated school. From 1976-1978 she also served as Coordinator of the Sisters at nearby Holy Name Convent. As principal, Therese Martin had many responsibilities and often had to work with several priests. During her time at Monessen Catholic, one incident, in particular, stands out. The children were in the process of assembling in the auditorium. Several were already there and others were lined up in their classrooms to join everyone downstairs. Suddenly there was a loud blast! All of the second-floor windows of the school blew out and there was glass everywhere. There was an explosion at a nearby mill. By the grace of God, no one was injured as they were all either in the auditorium or lined up near the doors of their classrooms. Father Henry P. Dinnico, there at the time, assisted in the aftermath to ensure that everyone was all right. In August of 1978, Sister took her experience as principal and coordinator of Sisters to a new mission at St. Agnes in North Huntingdon, Pennsylvania. Her skills in leadership served her through six years at St. Agnes School when, in 1978, she was reassigned as CCD Coordinator at Holy Trinity Parish in McKeesport. She did not really enjoy her time as a CCD Coordinator but she was only there for one year. Then she was reassigned to St. Sebastian School, the place of her first mission. Once again she served as an elementary school teacher until she was called to help care for her mother who was ill. 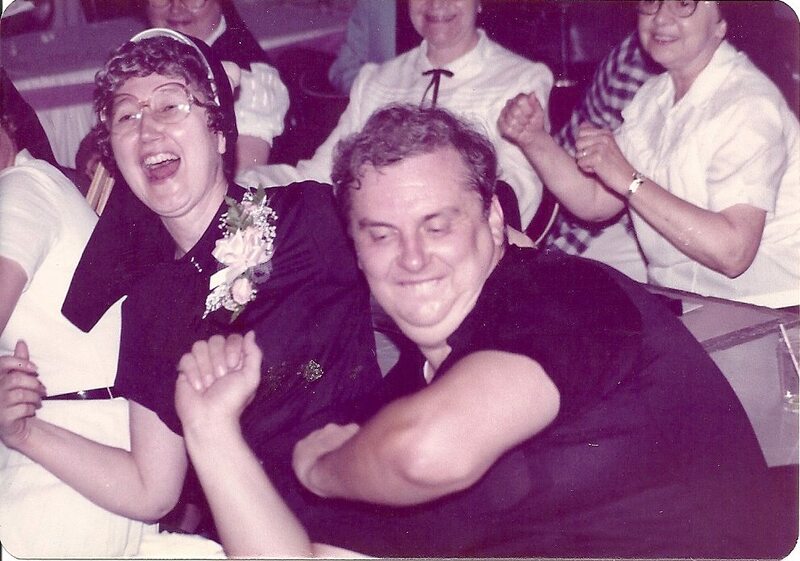 Sister Therese Martin and Father Chet celebrate at her Silver Jubilee. Sister’s father passed away in 1977 when she was principal of Monessen Catholic. In 1986, Therese Martin was given permission to care for her mother, Mary, who had suffered a miniature stroke. She cared for her at home for as long as she could and then she brought her to stay at Vincentian Home. There others could help provide the necessary care. In June of 1987, Sister became the Motherhouse Coordinator at St. Louise. Responsible for the Sisters and for managing the lay staff, she recalls this as one of her favorite missions as it allowed her to really get to know the Sisters. Though they occasionally had small differences, the Sisters were a joy for her to work with. Those Sisters who were present during Therese Martin’s time as Motherhouse Coordinator remember her kindness and compassion in this role; she truly cared for the wellbeing of each Sister. Another joy of this mission was that it allowed Sister Therese Martin to visit and help care for her mother living across the street at Vincentian Home. The extra time together was surely a blessing. She and her mother kept their routine of visits at meal times for six years until Mary passed away in February of 1992. Around this time Sister Denise Hibel asked Therese Martin to move from the Motherhouse down to the house once the home of a maintenance man, Mr. Say, and his wife. It was nice for the two of them to have space and they lived there until it had to be torn down in order that a clubhouse could be built for the members of the patio homes on Vincent Way. At that time they moved to separate apartments in Caritas. Sister continued her mission as Motherhouse Coordinator for three more years before once again being called to care for a sick relative; this time, her sister Monica. Monica had married Bernard Murphy aka “Murph” and they had a son they named Patrick. For thirty-two years, Monica worked in a pediatrician’s office striving to make sure that children received the medical care that they needed. She herself suffered from lung problems and Therese Martin was called to help nurse her from 1995 to 1996. Sister’s brother Raymond also experienced health problems. His story, she reports is, “like a miracle”. After his kidneys failed him, he received a kidney transplant which lasted for thirteen years. When his donated kidney failed, he had to resume dialysis. Never did he expect to receive another kidney. He was in his seventies and not high on the list of patients waiting for organ donations. Out of the blue, he received a call from the doctor. A kidney had been found. It had belonged to a young man and it was perfectly healthy. No one wanted it because the young man had been addicted to drugs. Because no one else wanted the kidney, Raymond received a second opportunity for a transplant. He now had the gift of a life free of dialysis to spend with his wife Rosalie. When she returned from helping her sister, Therese Martin was assigned to a new mission as pastoral minister at Vincentian Home. Sister Gerard Hurka’s eyesight was failing and Sister was assigned to take her place. From 1996 until 2008, Sister provided comfort to the patients including priests, sisters, and lay people. The priests as patients were always given rooms in the Priests’ Wing. A major part of this mission was to pray with the dying. She also planned holiday prayer services. In 2004, Monica’s health again declined and Therese Martin left to care for her once more. Soon enough she returned to Vincentian Home to resume her duties in pastoral ministry. Sister remembers this as another of her favorite missions because she enjoyed caring for the sick and being there for them in their time of need. She laments the fact that the Vincentians no longer staff Vincentian Home and believes that, especially early in the staff change, the patients missed seeing the Sisters so regularly. After twelve years in pastoral ministry, Sister Therese Martin requested a new assignment. The considerable amount of walking required to navigate the halls of Vincentian Home became too difficult. At the time, Sister Audrey Drap was working as the receptionist for the Motherhouse. Sister Audrey’s health was declining and Therese Martin told her that she would take her place. Upon hearing this news, Sister Audrey wondered what she was supposed to do if she wasn’t the receptionist. It was agreed that she would serve as a substitute at the switchboard when Sister Therese Martin was unable to work. Six years after Sister began working as the Motherhouse receptionist, her sister Monica became ill again. She was in the hospital and Therese Martin often visited her. Monica suffered a great deal of coughing due to her lung problems. In 2014, Monica passed away just after Therese Martin left her side. When Sister arrived home from visiting Monica, Kathy called to let her know that Monica had gone to God. After years of lung problems and the strain of coughing, her heart finally gave out. She is survived by her husband Murph, her son Patrick, daughter-in-law Kathy, and Therese Martin. (After all of her work in pastoral ministry praying with the dying, not being with her sister when she passed must have been an incredible challenge. It has been almost two years since Monica passed away and it is easy to see how much Sister Therese Martin still misses her.) Masses are offered monthly at St. Louise for Monica’s soul. Murph, Monica’s husband, never misses a Mass said for her. He drives for about an hour and a half to attend and pray with the Sisters for his wife. Today, though Sister Therese Martin has retired, she still serves the community whenever she sees a need. She operates the switchboard whenever a substitute is required. She also learned that another person to operate the dining room dishwasher was needed every other weekend and volunteered to fill the position. Besides this, she substitutes for employees when they can’t be at work. Therese Martin also gives other Sisters rides when they need one and works on the community project to crochet mats out of recycled grocery bags for the homeless. What’s more, in the summertime she cares for a garden which this year has about thirty tomato plants. Sister Therese Martin strives to help wherever she is needed. The older Sisters in the community, like Sister Teresa Margaret Bransky, who continue to serve despite their advancing years, are an incredible source of inspiration for her. Therese Martin wants to be there at prayer and Mass with these dedicated Sisters. Their devotion drives her to do whatever she can to help the community and others. Sister Theresa Martin, you surely have been there for others your whole life. Whether it was seeing to the needs of your family or to the Sisters on the Mission. You have made yourself present and available and have been and still are a gift to all who know you. Thank you, Sister. Sister Therese Martin thanks for sharing your story. I am glad that your parents let you be Sister Therese Martin – look at all the lives you have touched. Bravo!!! Dear Therese Martin, your life and dedication are an inspiration to us all.May God continue blessing you. Such a beautiful story of love and dedication to all in need. Blessings, dear Sister. We are so blessed with your life, Sister Therese! Thank you for your abiding love and commitment. Sister Therese Martin thank you for sharing your story. In your quiet manner, you radiate compassion, kindness and gentleness. What an amazing, powerful story of true devotion. Like your namesake, the Little Flower, you have done all things well. Thank you, Sister.